Understanding the latest remedial technology is not enough for successful delivery of a remediation project. Health & safety, demolition, construction programs, waste management, changing legislation and the clients’ objectives are all essential components. Soilfix prides itself on having well trained personnel with the necessary skills to deliver this complete remediation service. Soilfix can take your remediation project from identification of the remedial requirement through to completion and final verification. Our team of in-house professionals can facilitate all stages of the remedial process including design, site clearance, demolition, enabling works and regulatory approvals. Soilfix can complete the works either in the role of principal contractor or as specialist sub-contractor. Remediation of soil and groundwater is carried out using the most practical and appropriate technique that is only applied once we have fully understood our clients’ objectives. 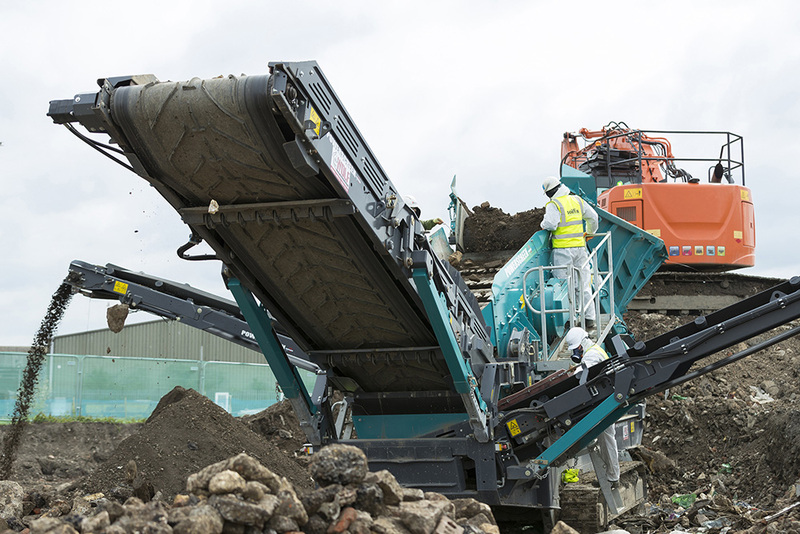 An increasingly common legacy of former industrial sites is the presence of asbestos containing materials (ACM’s) deposited or dispersed within made ground, resulting in asbestos contaminated soils (ACS) present in the ground. This problem is often exacerbated by poorly controlled demolition practices, resulting in ACM fragments becoming spread across the site surface and/or throughout crushed materials. The presence of ACM’s and ACS can result in significant potential liabilities, programme delays and escalating costs for landowners and developers. Soilfix has significant experience in adopting pragmatic, robust yet cost-effective solutions for asbestos contaminated sites, fully in compliance with the Control of Asbestos Regulations (CAR) 2012 and relevant waste management legislation. Through careful planning of pre-treatment and materials management requirements, the volumes of hazardous and non-hazardous wastes removed off-site can be minimised. Stringent environmental monitoring and controls, including fine-mist (virtual enclosure) suppression systems, reassurance air testing and scanning electron microscopy analysis to confirm airborne fibre concentrations are below HSE control limits as well as environmental background levels. All Soilfix staff working with asbestos are Category B Asbestos Operative Trained and have regular medicals and respirator face-fitting to ensure compliance with CAR2012. Many organic contaminants provide an energy source for naturally occurring micro-organisms present within the soil (e.g. bacteria). Under the right conditions, these organisms will degrade organic contaminants to form less toxic and/or more stable materials. These processes can be enhanced by manipulating the conditions within the soils that enable the relevant micro-organisms to both thrive and interact with the contaminants. The presence of nutrients and available carbon within the soil will provide the basic building blocks for the organisms and can be artificially increased with the application of various bio-nutrient products or fertilisers. Optimising pH, temperature, moisture and oxygen conditions can boost populations and enable maximum interaction with the contaminant. Biorememediation can be accelerated within ex-situ soils using vented biopiles or windrow technology. Bio-venting, sparging or permeable reactive barriers (PRBs) can be used to accelerate the process in-situ. Soilfix can design and build the systems that will enable you to achieve maximum rates of bioremediation at your site. Where more complex contaminant situations, gross start concentrations or biomass limited situations occur, Soilfix has experience in bio-augmentation using both specially cultured and indigenous biomass to enhance the treatment process. Solidification changes the physical properties of contaminated material to increase its compressive strength, decrease its permeability, and encapsulate hazardous constituents. Stabilisation changes the chemistry of certain hazardous constituents, making them less soluble, less mobile, and/or less toxic. Prior to commencing, samples of the contaminated material are taken and laboratory pilot trials conducted to calculate the most cost effective reagent or combination of reagents to achieve the site remedial targets. Binding agents are then applied and the soils rotivated either in-situ (e.g. auger, injection, rotivator) or ex-situ (e.g. batching plant, blending equipment). Performance testing of the treated materials is usually completed throughout the works. Depending on requirements this can include tests on hydraulic conductivity, unconfined compressive strength and leachate characteristics. The technology can be tailored to meet both the remedial and construction objectives of a project (e.g. using contaminated soils to form a piling mat, capping layer or engineered fill). In-situ chemical oxidation / reduction technologies. Soilfix also has experience in carrying out thermally-enhanced treatment using both steam and electric conductive heating using specialist partners.